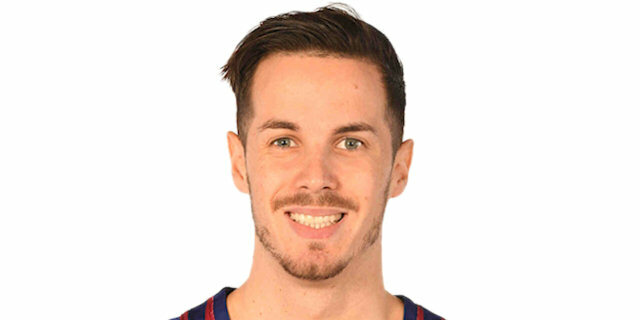 Down 10 in the third quarter, Thomas Heurtel came alive to spark an impressive turnaround as Anadolu Efes Istanbul too charge to defeat EA7 Emporio Armani Milan 86-78 on Friday at Abdi Ipekci Arena. 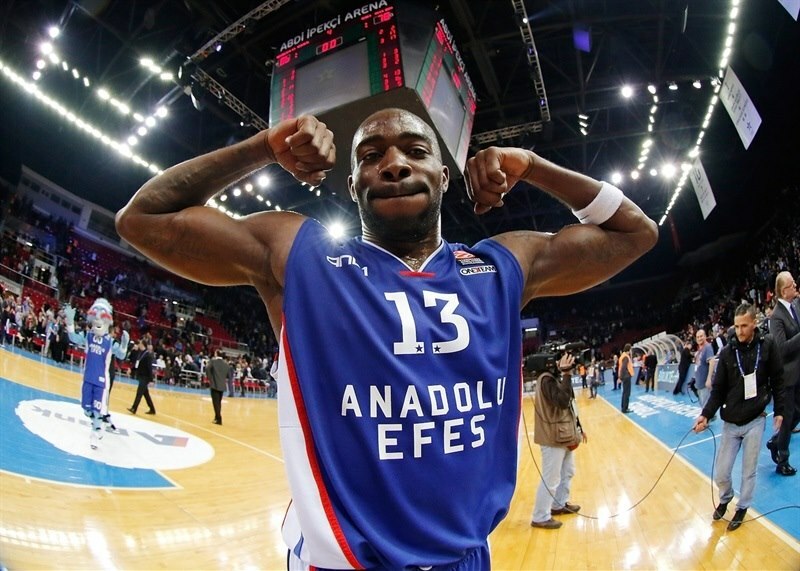 The win improved Efes to 6-7 in Top 16 Group F and left it in control of its destiny; a victory next week will send Efes to the playoffs. The result also eliminated Milan from playoff contention after the Italian champion fell to 4-9. Huertel buried 4 three-pointers and scored 16 of his game-high 26 points in the third quarter. After a 12-0 run that bridged the third and fourth quarters, the hosts led 68-59. The difference grew to 13 and despite some late shooting from MarShon Brooks, Milan never threatened again. 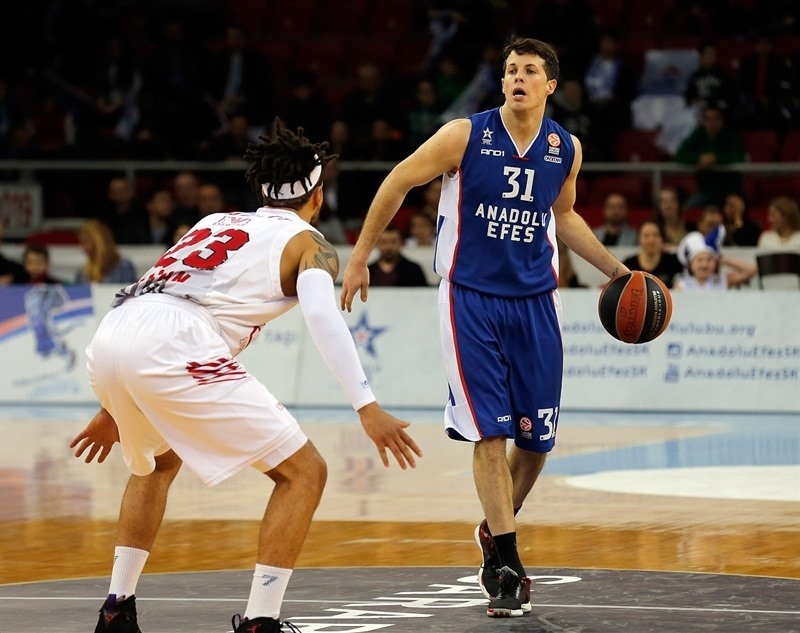 It was a different story in the first half when Alessandro Gentile scored 11 in the first quarter to give the visitors a 13-24 advantage, which reached 15-30 before Efes closed the gap to 36-42 by halftime. 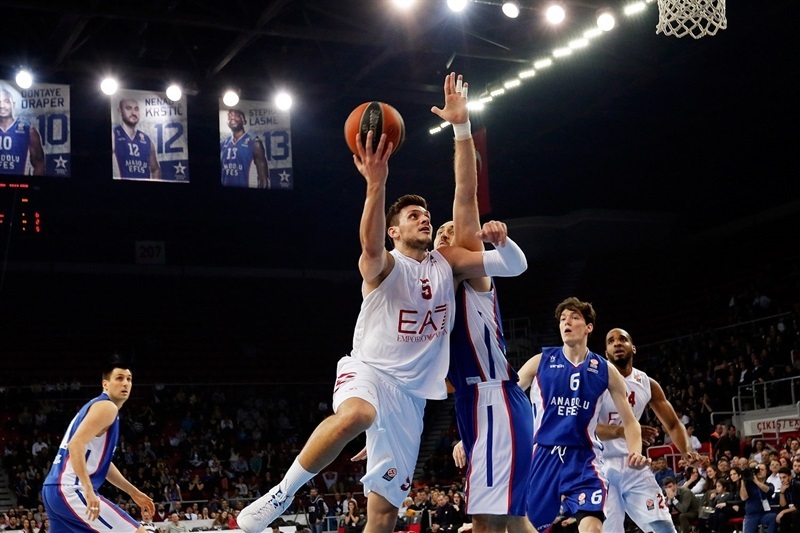 Heurtel also dished 5 assists for the winners, while Nenad Krstic scored 22 and Dario Saric added 14 points. Brooks and Gentile led Milan with 17 points apiece. Samardo Samuels scored 16 and Daniel Hackett tallied 13 points and 8 assists in the losing effort. Huertel’s bounce pass found Krstic open for a jumper and the game’s first basket. Gentile got Milan on the scoreboard with a pair of free throws. Hackett dished to Samuels for a driving layup and then sank a short jumper of his own. Matt Janning tried to ignite the hosts, but Gentile took over with a two-handed slam, a free throw and a three-pointer on three consecutive possessions. 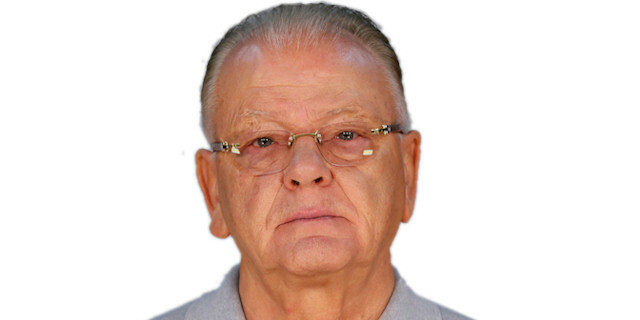 Hackett added a jumper before Efes Coach Dusan Ivkovic called timeout at 4-13. Krstic tried to ignite the hosts with his second basket, but also committed an offensive foul on the ensuing possession. 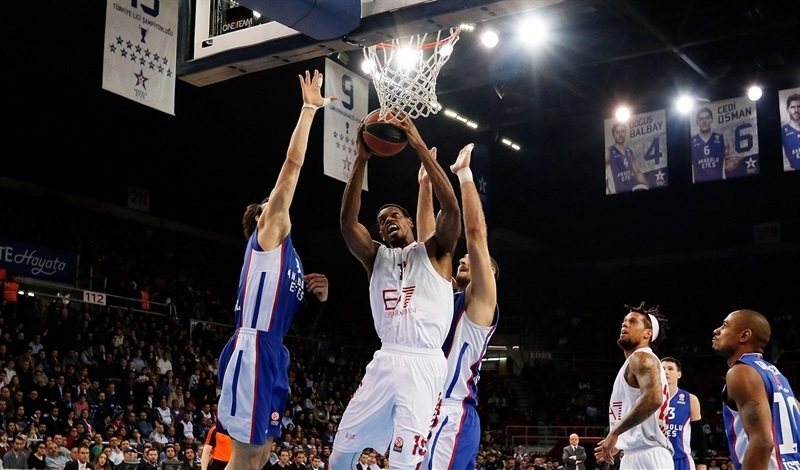 Milan doubled Efes up when David Moss’s triple made it 8-16. Gentile’s fade-away jumper gave the visitors their first double-digit lead. Krstic’s slam was followed by Moss’s jumper. Hackett padded the advantage with a long jumper. 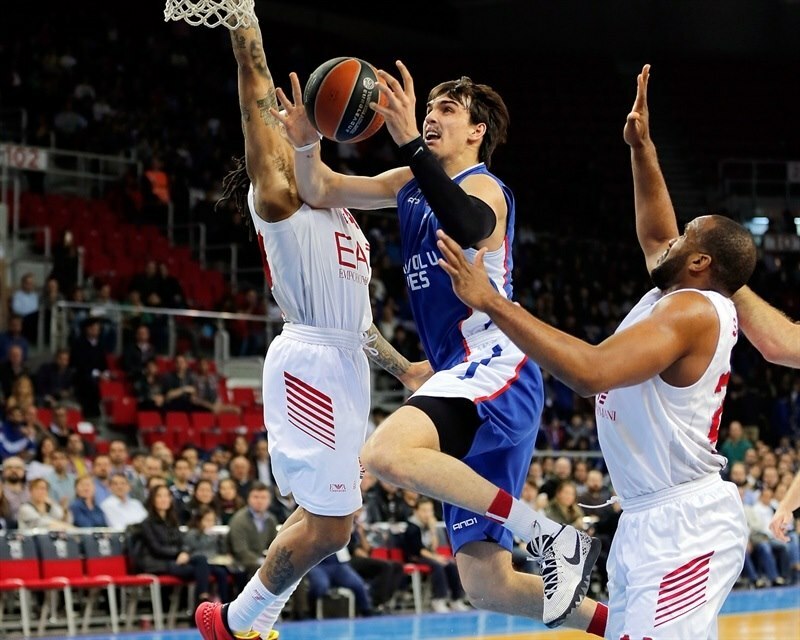 Saric was knocked to the ground on a hard foul by Frank Elegar and split free throws. He then dished a great pass to Stephane Lasme, who was fouled by Elegar as he tried to dunk. Gentile added 2 free throws for a 13-24 cushion. Brooks made an instant impact with a jumper. Furkan Korkmaz scored for the hosts on the break. After Lasme rose to reject Brooks, Elegar committed his third foul and took a seat. 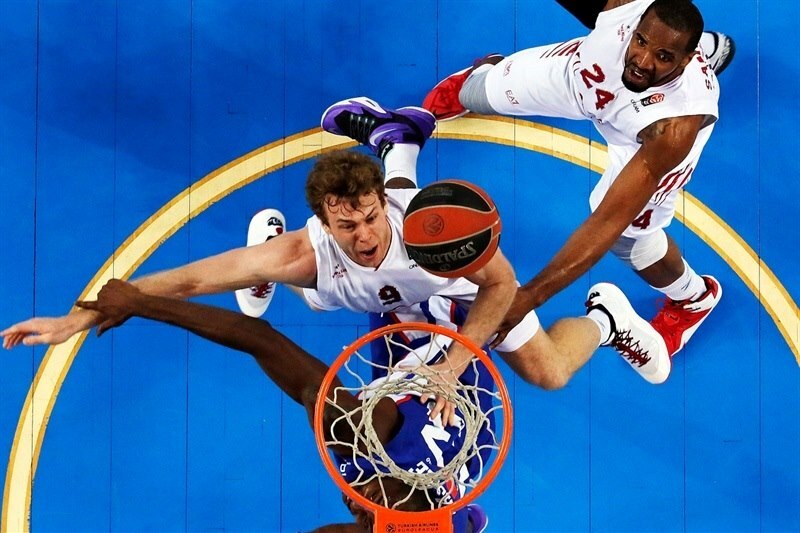 Milan retained the momentum as Gentile sliced through the Efes defense for another layup and Samuels scored inside to make it 15-30. Krstic scored inside and Milko Bjelica added a tip-in as Efes looked to climb back. Brooks drove for a tough layup to make it 19-32 midway through the quarter. Heurtel buried an open three to trim the deficit to 10. After Joe Ragland drove for a layup, Heurtel drained another triple. 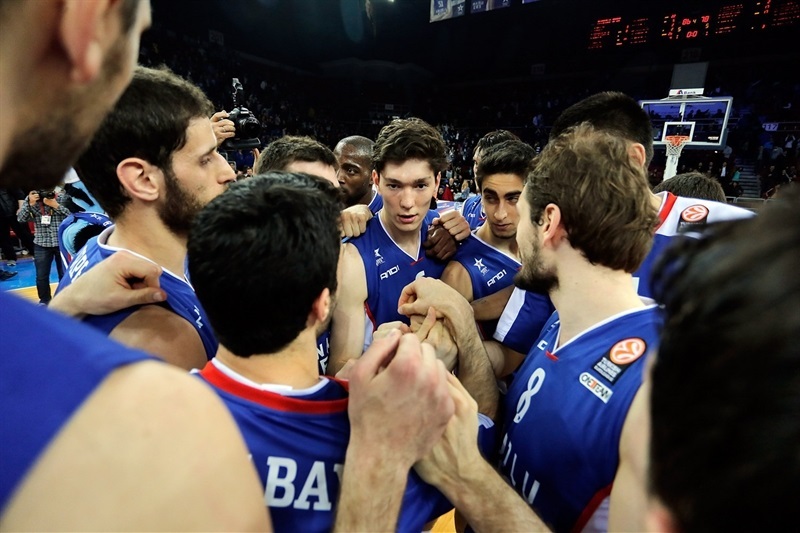 Then Cedi Osman stepped up with a rejection of Gentile at one end and an assist to Krstic for a slam at the other. After a Milan timeout, Samuels scored on the offensive glass. Heurtel buried a floater, but also committed an offensive foul. Brooks shined with a tough jumper and Samuels added free throws. Shawn James rejected Bjelica, which allowed Hackett to restore a double-digit advantage from the line. Bjelica’s tip-in and a Saric triple trimmed the gap to 36-42 at the break. Samuels scored inside and Nicolo Melli rejected Heurtel at one end and finished the break at the other to put the difference at 10 again. After Efes came up empty on the three-shot possession, Hackett bankd in a jumper to make it 36-48. Stratos Perperoglou drove to wake the hosts up. After a Huertel jumper, Samuels connected on a triple. Heurtel netted a three to cut the deficit to 44-53 midway through the quarter. Gentile and Saric each scored from close range. After the TV timeout, Perperoglou’s steal and Saric’s tip-in made it a 7-point game. Heurtel’s layup brought Efes within 50-55 and triggered a Milan timeout. Hackett came up with a steal that led to a Gentile layup, but Heurtel nailed back-to-back threes to bring the crowd to its feet at 56-57. Hackett drilled a shot with his feet on the three-point arc. 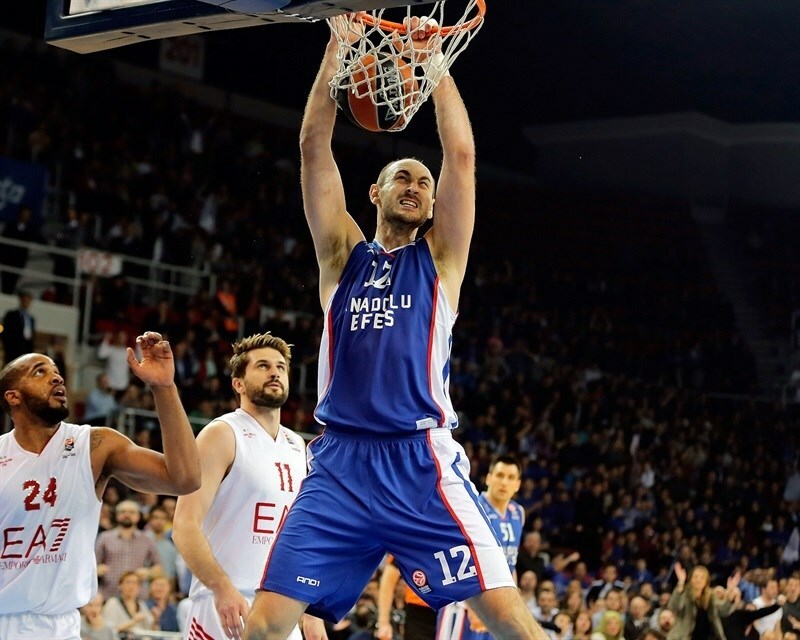 Krstic sank 2 free throws and then a jumper to give Efes its first lead of the night. Heurtel ended the quarter with another three for a 63-59 advantage. Things started to unravel for the visitors as Krstic sank 2 free throws and Heurtel added another on a technical foul on the Milan bench. The two hooked up again as Heurtel assisted Krstic to take the run to 12 unanswered points. Samuels scored inside to revive the visitors, but Osman buried a three for a 71-61 advantage. The arena erupted when Saric beat the shot-clock buzzer with a three. Elegar shined with a two-handed slam and Brooks scored too, but Lasme had the hosts cruising at 76-65 with five minutes remaining. Heurtel made a free throw from a technical foul on Gentile. 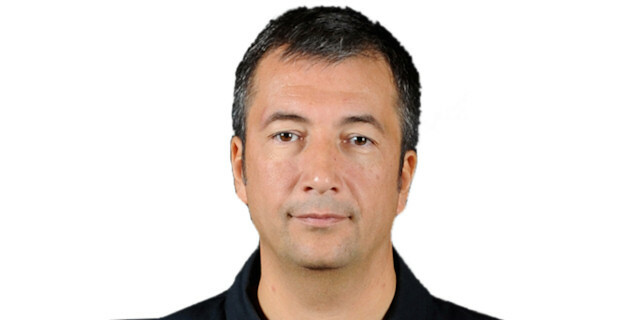 Lasme split foul shots for a 13-point cushion. 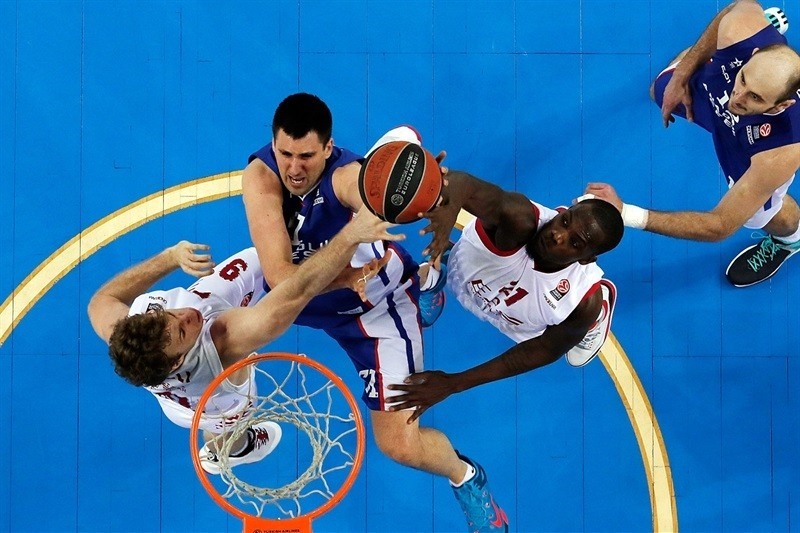 Kleiza gave Milan hope after a three with less than three minutes to play. Perperoglou’s put-back helped seal the win with time to spare. Even though Brooks added a pair of late threes – including a four-point play – Milan never got closer than 6.